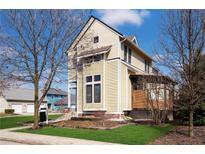 Below you can view all the homes for sale in the Butlers College Corner subdivision located in Indianapolis Indiana. Listings in Butlers College Corner are updated daily from data we receive from the Indianapolis multiple listing service. To learn more about any of these homes or to receive custom notifications when a new property is listed for sale in Butlers College Corner, give us a call at 317-644-1844. Arguably one of the best features is the recent addition of a multi-level outdoor living space that allows you to take in the fresh air and sunshine. MLS#21627741. CENTURY 21 Scheetz. w/ separate service door and storage! MLS#21619887. Keller Williams Indy Metro NE. 2 car attached garage is a bonus! MLS#21618769. F.C. Tucker Company. This home’s prime location has you oriented right in the center of the bustling 16th Street corridor and access to The Cultural Trail & Mass Ave. MLS#21617305. Everhart Studio, Ltd..
Mass Ave & the new Bottleworks development are just steps away! MLS#21612829. Everhart Studio, Ltd.. 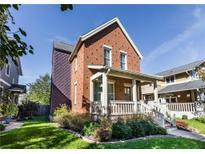 The home and its Master Gardener-designed gardens are a quick walk to Mass Ave. MLS#21603421. Everhart Studio, Ltd..